We believe that all dentistry, including general dentistry, should provide the best outcome for both your dental health and your appearance. Dr. Alex and his staff are proud to offer a wide range of modern general dentistry techniques and teeth cleaning to help our patients get the best of care here in Athens. Tooth colored fillings | We practice metal-free dentistry that not only helps restore your teeth to health, but looks completely natural in your smile. No longer will you have to worry about grey or metallic-looking fillings. We offer white fillings that match the appearance of your natural teeth and that are stronger, safer, and more enduring than metal ones. Dental Hygiene and Preventative Care | One of the most important aspects of maintaining good dental health is keeping up a high standard of dental hygiene, teeth cleanings, and completing proper preventative care. We can teach you great dental hygiene techniques, and help you have regular preventative care with the help of a good teeth cleaning. Crowns and Bridges | Having a few missing teeth can be problematic. Using a dental bridge combined with crowns, we can help fill in those gaps and improve the brilliance of your smile. Dentures | If you are missing many teeth, dentures can be a great way to get your smile back on track. We can help guide you through your denture options and help you get the care you need. Mouth guards | If you play sports or have had problems with teeth grinding in the past, mouth guards are a great way to treat these issues. Dr. Alex and his staff can make custom-fitted protective mouth guards for their patients, preventing damage and preserving your teeth to play again another day. Dental Implants | We can restore dental implants and help you fill in those gaps. Dental implants are the only permanent way to replace missing teeth. We are excited to be able to facilitate dental implants for our Athens, GA, area patients! TMD/TMJ Treatment | Having TMD is no laughing matter. We can treat your TMJ issues with Botox or splint therapy depending upon your condition. 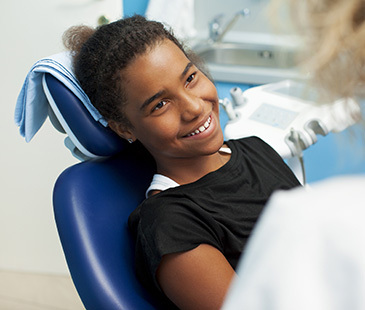 Have questions about our general dentistry services? Please call us today if you are in the Athens area, from Watkinsville and Bogart, to Jefferson, GA!